A website or an online store can be seen as the very foundation of a company's online presence. But no matter how much effort you put into getting it up and running, it isn't really enough that it exists. Once you have created a lot of great content to your site or gotten all your products in a row in your online store, it is time to start sharing it all with the world. But what are the best ways to drive traffic to your site? You're about to find out. We can't really forget about where it all starts, though. It all starts with your content. Content marketing is no longer a buzzword describing something that you should be doing. You are already doing it, right? Right? Producing high quality content truly is the corner stone of online visibility for the following reason: unless your content is worth reading about, there's really no point in driving people onto your site. So analyze your audience thoroughly and figure out what kind of content they'd find valuable. It's easy to filter content on our blog according to type of content or different tags. Make your content easily accessible by having a search function or different kinds of filters. Make the design of your page work for you. In other words, it shouldn't be overly complex or an infinite loop of subpages. Keep it simple, nice-looking and most of all functional. If you want to use bright colors and intricate design, by all means do, but make sure the page is inviting and not unapproachable. This should be straightforward enough, but according to our study 40 % marketers view content production as one of the biggest challenges in starting marketing automation. However, there are many routes to make content creation as easy as 1-2-3. Using a content calendar is the first step and creates a frame for your year in terms of content. Use holidays, busy times of the year and events or expos as your anchors. Create a documented content strategy and act according to it. Make it fresh. Make it longer. Make it better. You can also look into topics that others have written about and write about them yourself. Just remember to make it more relevant and improve it. Monitoring how and where your content is shared is also very fruitful when looking into the performance of your content. For all its importance, we raised high-quality content as number one before even going closer to the tactics of driving traffic. Now: You guessed it. It's not quite enough. You need to do more to increase your website traffic. Newsletters and email marketing are a highly effective method to drive traffic onto your website. The perception might be that email is somehow outdated, but that couldn't be further from the truth. Email marketing is still – approaching year 2020 – the marketing tool with the highest ROI. With relatively small investments, you can gain a lot of traffic to your website, high-quality leads and ultimately get the sale. Yet there is so much email out there today that you need to do certain things right in order to stand out. So if you decide to begin with email marketing, do yourself a favour and give it some background research as well as a decent amount of thought. Keep in mind that any signup, login, request or contact is an opportunity for you to add people to your mailing list. Online clothing store Disturb has an easy-to-fill newsletter subscription form on every page. They also use account login which is a great way to collect emails for a mailing list. If you do email marketing well, there's a really good chance that you might stand out from your competitors in a positive way. The spray and pray method won't do any good for you or your brand. This is where segmenting and marketing automation come into play. You want to reach the right people with the right content at the right time? That task right there is virtually impossible without a marketing automation tool. Set up all the suitable social media platforms for your company and start sharing. Sharing articles or other content on Facebook and LinkedIn is a traditional and well-received way to drive traffic to websites. However, social media enables new ways of reaching whole new audiences. 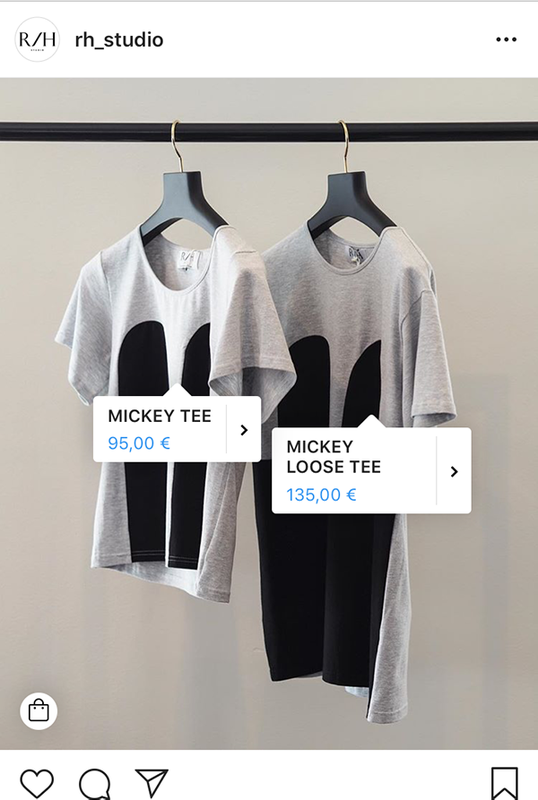 For example, on Instagram an online store can share a picture that opens a direct window to purchase the pictured product. Optimize the content you share for each platform. Use the correct image sizes. Keep your description text short enough in order to keep the dreadful "show more..." at bay. Use a social media sharing helper (like Buffer) where you can schedule your posts ahead. This way you can take a day – hey, let's make it a month – off social media posts. Just go through your content, find gems like that excellent blog post from a year ago and make it work for you once again by scheduling it to come out next week. Modern marketers boldly enter the world of paid ads and don't just trust the organic flow of interested visitors. Paid ads have the power to catch a web visitor on two occasions during their online journey. You can catch them when they are specifically looking for something. And you can also get their attention when they are just casually browsing, but you manage to swoop in with a targeted ad. In the situation where a visitor is specifically looking for something, you need to be using the correct keywords in order to be shown for this particular visitor. Google Ads is a system that works exactly like this. The algorithm keeps changing but the overall idea stays the same: you need to be winning the auction, have great keywords and have excellent content to perform well both organically and in the paid race. To find the right keywords, you can use Google Keyword Planner. Utilizing Google Ads can be a jungle with all the different functionalities, but an integrated version makes it more user-friendly. Paid ads are one great way to generate traffic, but we highly recommend to put effort in optimizing your site as well as you can, too. Search Engine Optimization (SEO) is indispensable since it has a big meaning in determining how well your site is found on search engines. The very first thing in search engine optimization is having a technology partner that understands the importance of SEO and can implement it in the right way. Some of the important questions to ask are whether URL addresses are formed straight from the page's title and can they be changed? How about changing meta descriptions and title fields or making redirections? Generally speaking, long and ugly URLs = bad. Short and pretty URLs = good. Another very important factor when it comes to search engine optimization, is the loading speed of your site. Google punishes hard for sites that are painfully slow. Google also punishes for sites that are not mobile-optimized. SEO becomes increasingly important if you are in the process of redesigning your site. So take extra care that redirections work. Driving visitors to your website requires dedicating some time and effort to the process. In many cases it also requires you to get a bit creative. Sharing links yourself is one thing and doing it effectively often requires you to be present in many different channels, such as Twitter, Facebook, blogs and forums. But: it’s not enough to toot your own horn, others have to toot it too. This means getting links to your content from other sites than your own. These are called backlinks and they are like testimonies from other people that say: "Hey, this is some quality content right here!" Link building reaches back to the very early days of Google. Their first link analysis algorithm was originally named PageRank and it aims to bring some order into the scattered entity that we call the World Wide Web. PageRank is still one of the algorithms Google uses and it counts the amount but also assesses the quality of links that a certain page gets. Getting others to share your content doesn't happen overnight but requires consistent effort. When someone shares your content, always check that they link to it correctly. If they do – awesome. If they don't – ask them very politely if they wouldn't mind doing so. Find people and companies that write for a similar audience as you do and send them a polite email asking would they share your content in exchange for you sharing theirs. Luckily nowadays there's a huge amount of great content out there to help you get started with link building and social media sharing. A great reason to visit those websites, isn't it? Need help in driving traffic? This article was originally published on September 11th, 2013 and updated on August 6th, 2018.